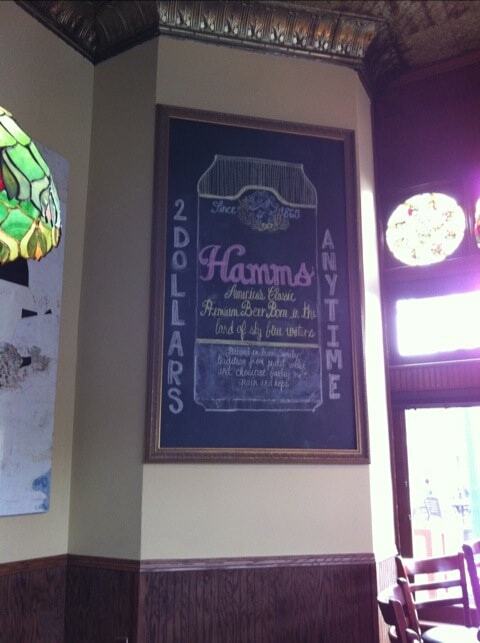 Pretty cool chalk drawing of a Hamm’s beer can at The Repiblic across the street from Town Hall Brewery in the old Sgt. Preston’s spot on Seven Corners in Minneapolis. Thought you’d like to know, it was done by chalk artist Allison Thornton.